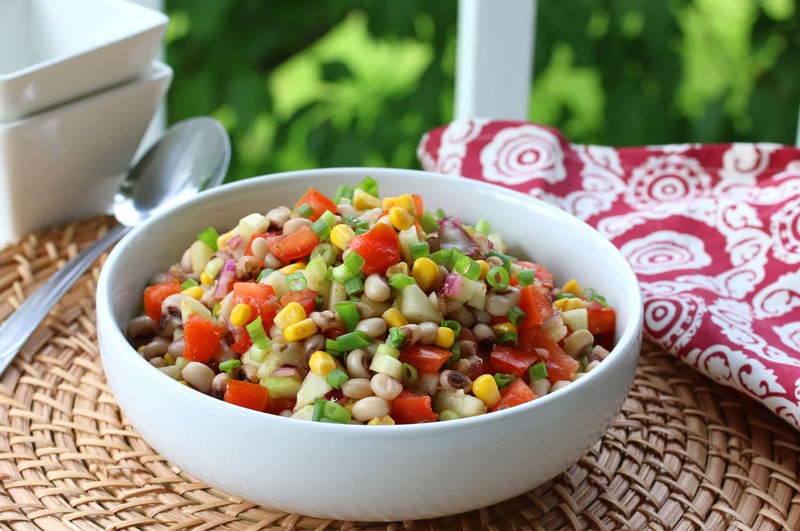 The South has a tradition that goes back to the Civil War and says black-eyed peas bring good luck. Specifically, they bring good luck if they’re eaten on New Year’s Day. Now I realize I’m a few months late in the good luck game, but if the luck-bringing powers of the black-eyed pea work on a prorated basis, there should still be a little left to go around. 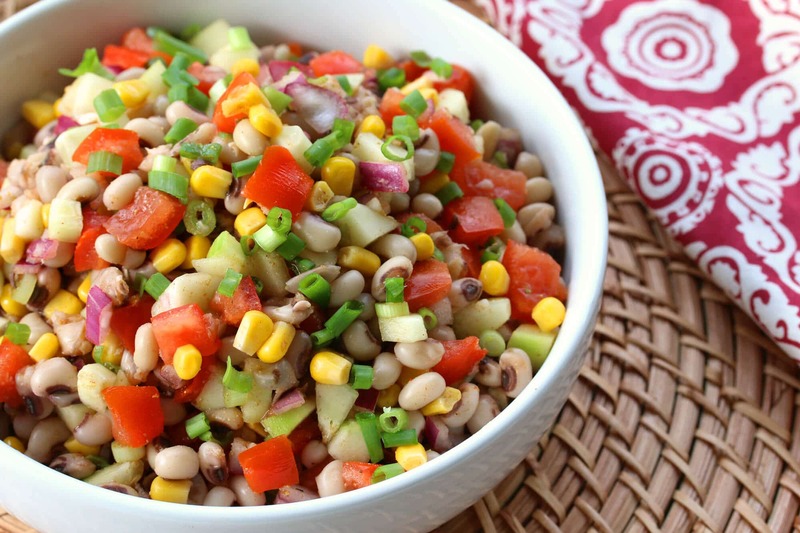 Black-eyed peas have always been a favorite of mine. They have a flavor unlike any other legume that’s simply fantastic. And for that reason the black-eyed pea is not only prized in the South but in many other parts of the world. 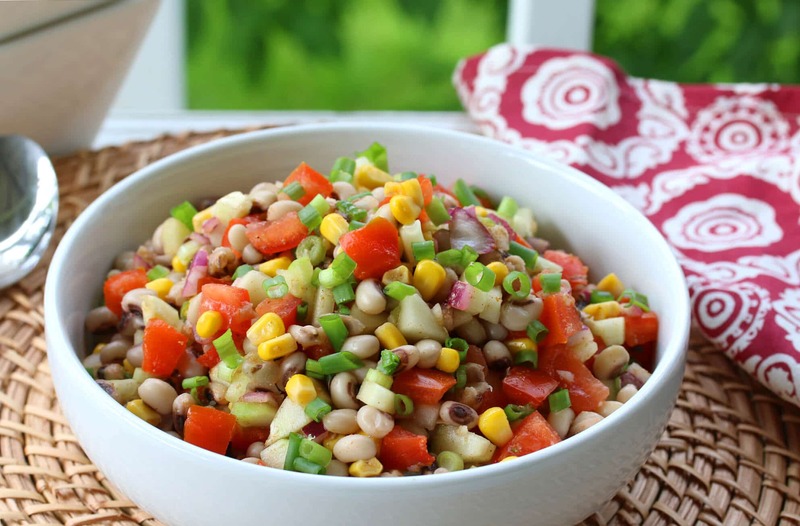 Today we’re featuring the black-eyed in a delicious Southern-style salad that takes just minutes to prepare. 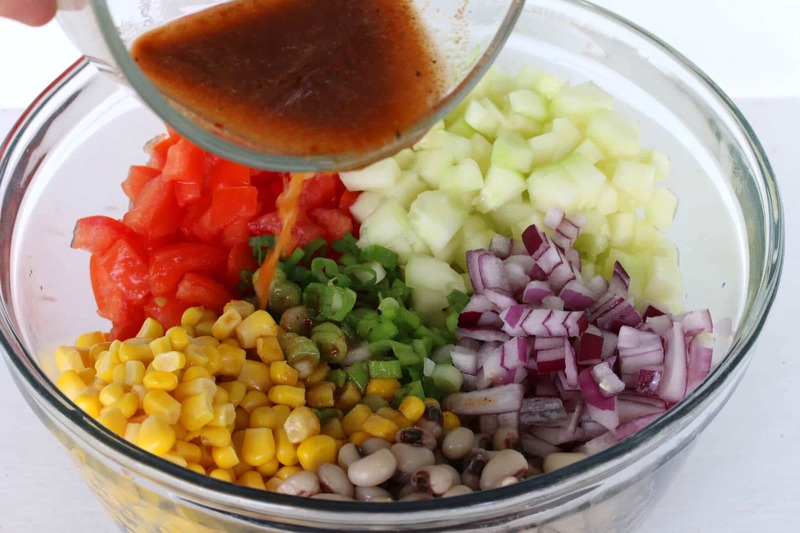 The beans and chopped veggies are allowed to marinate in a wonderfully smoky-spicy vinaigrette and enjoyed cold. It also makes great leftovers and is a healthy and satisfying option to take to work for lunch. 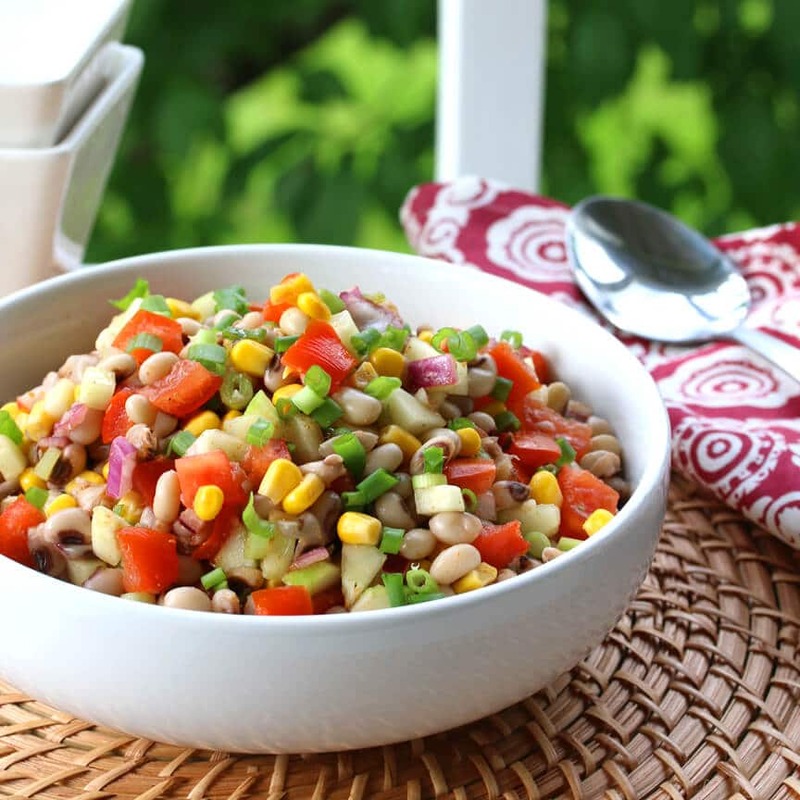 Perfect as a salad, side dish or salsa with your favorite corn chips, this is a perfect dish to enjoy at home or bring to a barbecue, picnic or potluck! 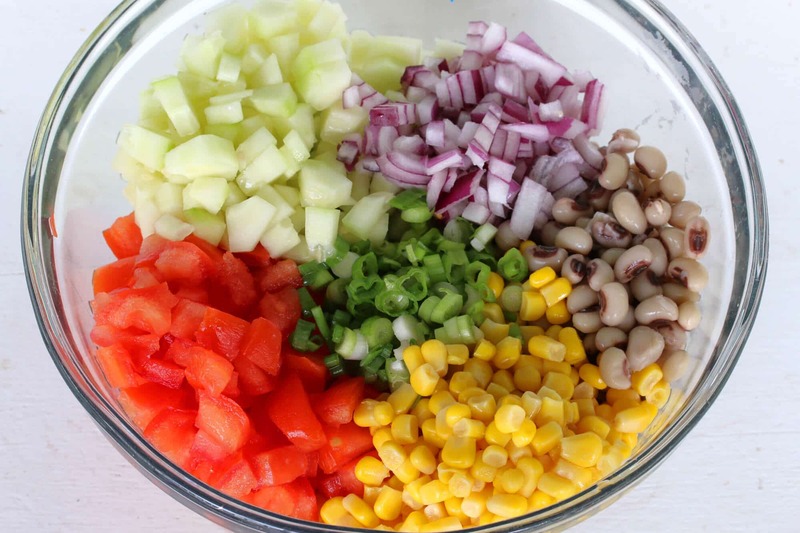 Place the beans, corn and chopped vegetables in a large mixing bowl. 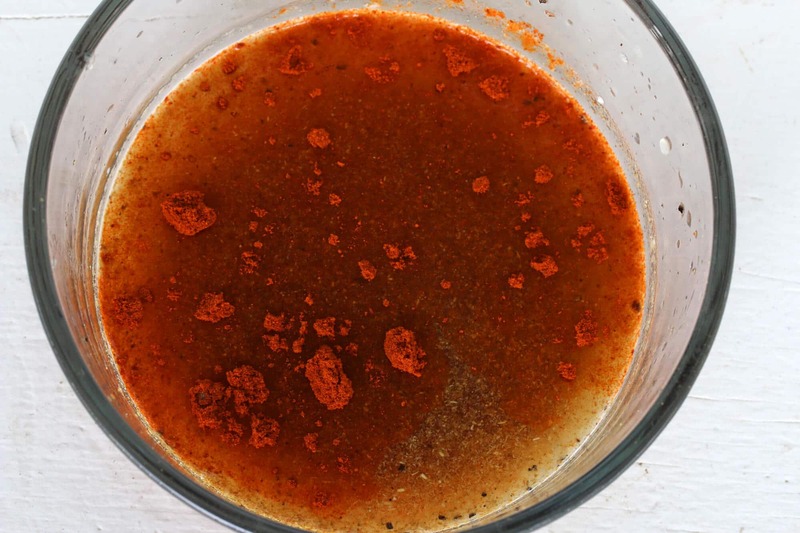 Pour the vinaigrette over the salad, stir to coat, cover and refrigerate for at least two or more hours before serving, giving it an occasionally stir. Serve cold with some grilled chicken or meat or enjoy it on its own as a light lunch or with some corn chips. Combine the beans and vegetables in a large bowl. Whisk together the vinaigrette ingredients and pour over the mixture. Stir to combine. Refrigerate for at least 4 hours before serving. Enjoy as a salad, side dish or as a salsa with corn chips. All the colors in this salad are so pretty! I’m putting this on my list of salads to bring to picnics! LOVE black eyed peas! This salad looks delicious! I have never had a salsa with black eyed peas! How intriguing! Ooh! I bet that smoked paprika is amazing in there. We’re going to a picnic soon and this would be so perfect to bring! I love black eyed peas in my salsa! This looks delish! That salad looks delicious – and lucky too? Bonus! This is such a beautiful side dish for summer – those colors are enough to draw anybody in! This looks amazing! 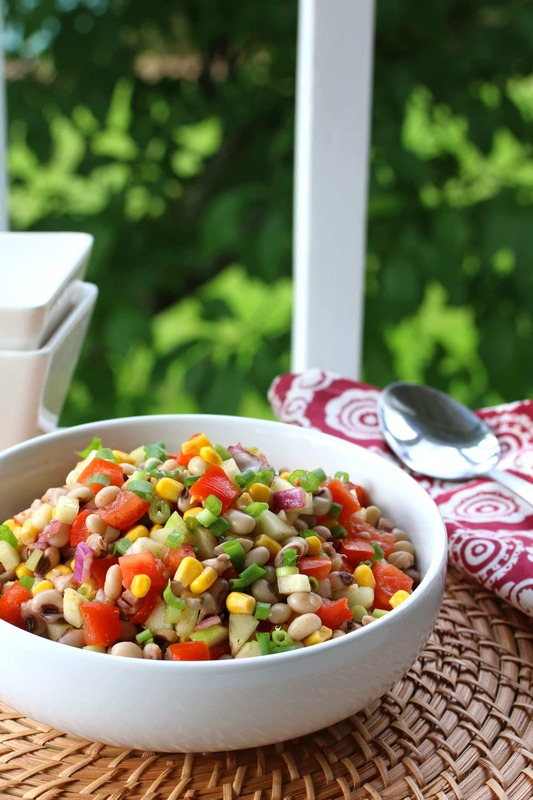 A great salad to bring along to our next picnic or family BBQ. 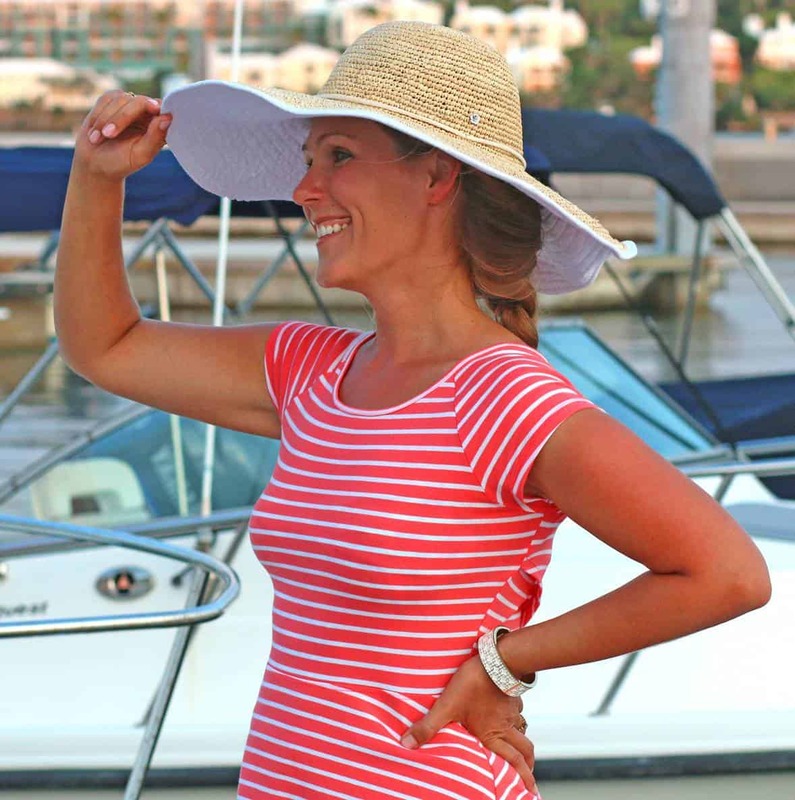 Ooh, this sounds so good for summer! I’d never heard before that black eyed peas were lucky (seriously, where have I been?! ), but I love them! This looks amazing! I’ve never had salsa with peas before! I bet it adds a really interesting element! I want to gobble this up all by my lonesome. This is stunning. I love black eyed peas so this is right up my alley. I love black eyed peas! The meaty nature they give to any dish are always a great counterpart to other ingredients, and this example looks like a great way to enjoy them! Such an awesome summer salad! I love that it’s so good for you, too! I’m going to have to try this with the black beans I have in my pantry! Our family always has black eyed peas to bring in the NY! Definitely a Southern tradition – love it in a salsa! This with some grilled chicken would make for a perfect dinner! Wow that looks and sounds fantastic. Having a lot of family and friends visiting this summer. I will definitely be making this. Can’t wait to try it. Thanks! Did something similar a couple of years ago for Thanksgiving. I needed a veggie but was pretty tapped out so I heated up a couple of cans of black eye peas and made what was essentially a bruschetta topping and mix it in. Serendipity, everyone loved it. I’ll bet they did, Mike, that sounds like a great idea! 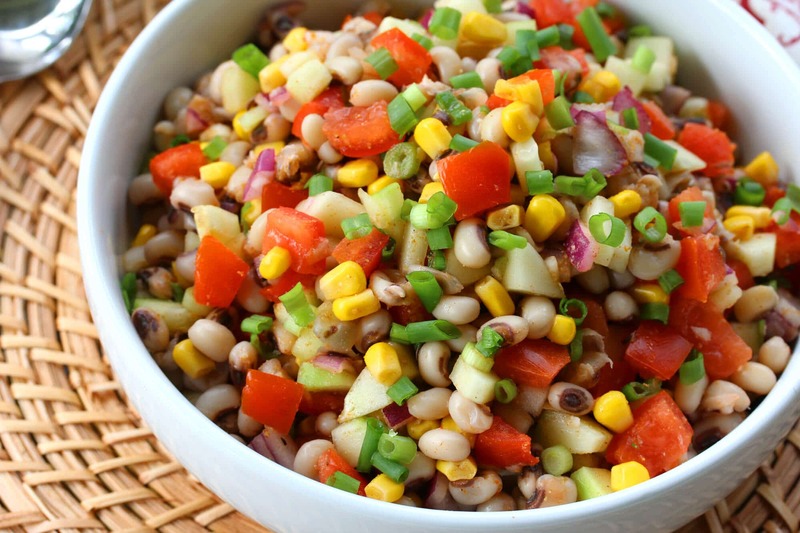 This salad looks and sounds fantastic and the perfect side dish to go along with our weekend grilling. This salsa looks very refreshing with the added goodness of beans. Perfect for summer time, I’ll make it soon. You can use a couple of cans of black eyed peas a a substitute. Just rinse them well and strain. That way you don’t take the chance of overcooking them. This is a great recipe and you will get all kinds of oos and aahs. Thanks, Terry! We love it. And yes, that’s right – I often used canned especially when I’m in a hurry. Since I have adopted a whole food plant based diet I look for vegan recipes. It is hard to find dressings without all the oil. I was excited to try your recipe. I had fresh tomatoes, cucumbers, onions,and canned corn and black eyed peas I canned this winter. Just had to add a few more ingredients that I already had. I’m from Oklahoma and love my black eyed peas. This recipe was delish,had to be careful and not over eat. It fits perfect in a vegan diet. Taking it on our camping trip this weekend where even my non-vegan kids will eat. I’m so happy to hear that, LaDena, thank you!